Hey there, this is my first blog, so bear with me. Gsnags is from a nickname my husband gave me years ago, when we were dating. My first name is Gail (G), and I had to have a tooth pulled (snaggle-tooth), so he started calling me Snags. I come from a family of seven children, and believe it or not, never had a nickname. Except, my sister Sandra would call me "stinky" sometimes. 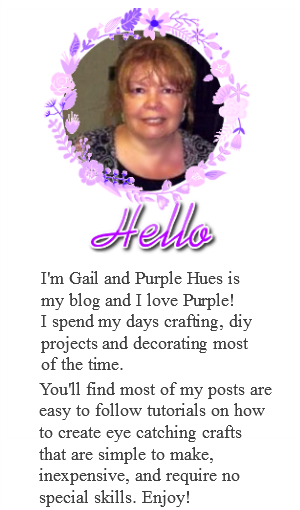 I love crafting, sewing and decorating, and I love most shades of purple. Lately, I've been fascinated with reading blogs on crafting and decorating. I want to be apart of this so I plan on publishing my thoughts and ideas, too. We just moved into a new home, after thirty-five years in my old house. I am excited about home decor all over again. I have this purple comforter on my bed. It's no longer available from Bed, Bath and Beyond, but I love it. 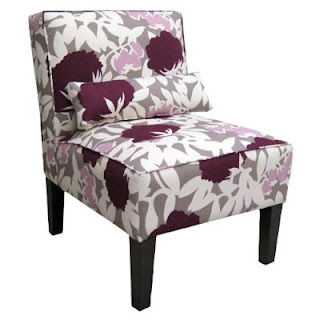 The chair is from Target and is made from a Duralee plum fabric. I have two of them in my living room. I was able to find additional fabric online. How cool is that? I want to make pillows and other decorative items from the fabric, and I need some ideas. I have so many ideas and projects going through my head that I don't know where to start. Beautiful rooms. I'm looking for a round accent table like the white one you have in front of the fireplace. I just noticed that the walls of this room are painted. It looks like a gray color. What is the exact color you used? 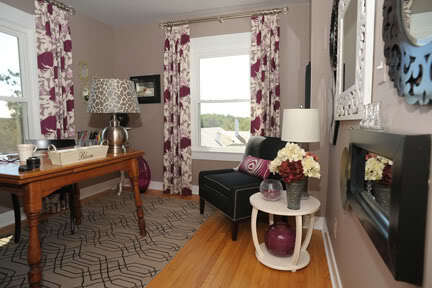 It's subtle and complementary to your furniture colors, which is the way I think wall colors should be. Although I have had my blog for a year now & love to photograph & blog I have been laid up with some complications from and umilical hernia repair with mesh & just had my 4th surgery to remove the mesh. 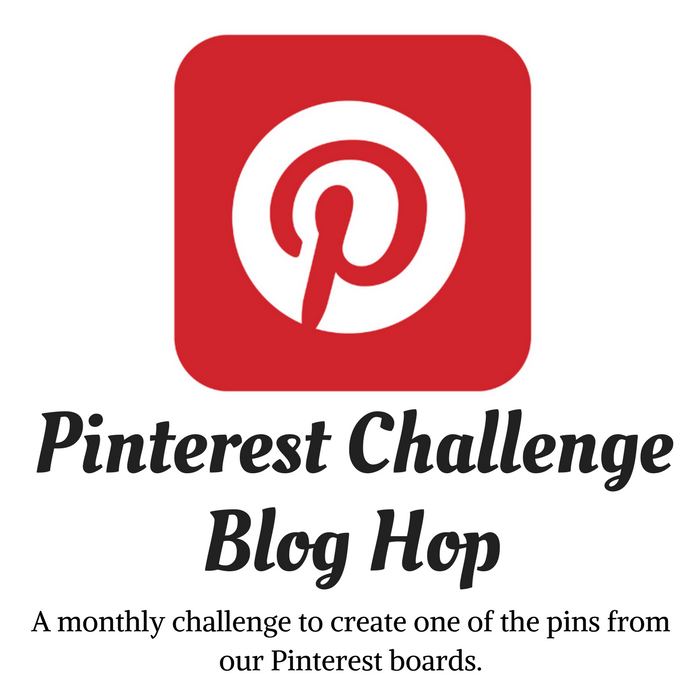 Hopefully this helps and I can get back to all things fun, decor & crafty. Best of luck with your blog!